I'm creating a video using After Effects CC 2015 for use it on a website. 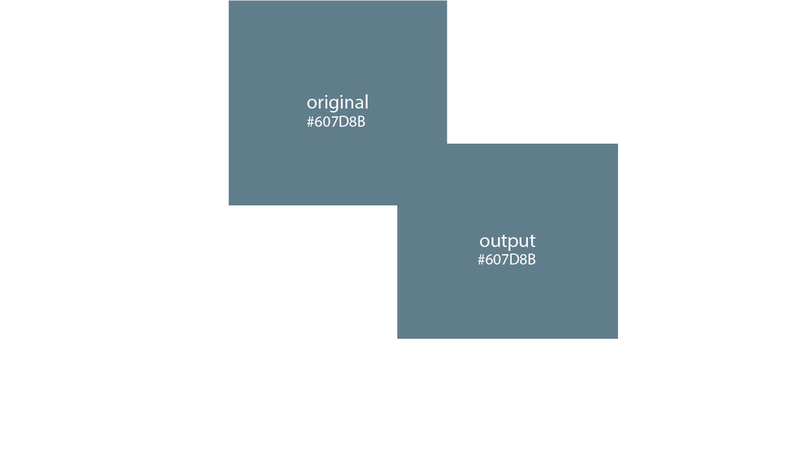 The background of the page on the site is #607D8B, so the first thing I did was create a solid with that color, and the color was right, however when I rendered, the color changed to #6e8995. What are the settings I need to do to avoid this problem? 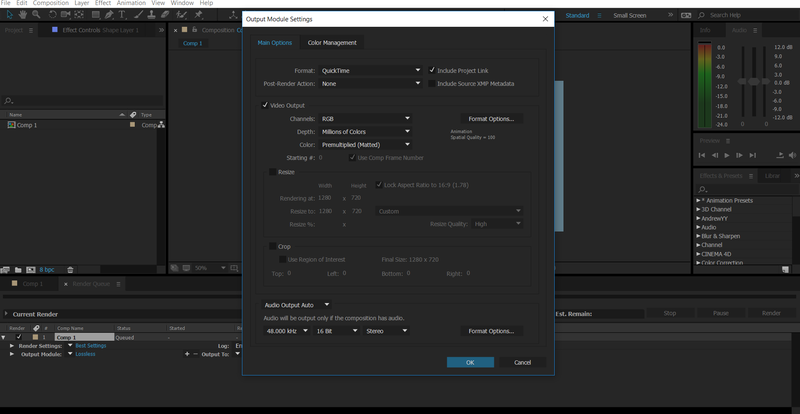 I exported using Adobe Media Encoder and the standard H264. Sounds like a color space / range flag or rendering issue. Quickest way to resolve this is to take a short screencast i.e. video capture of the page. Load that into After Effects and pick that color. You can't take a screnshot. It has to be a video. 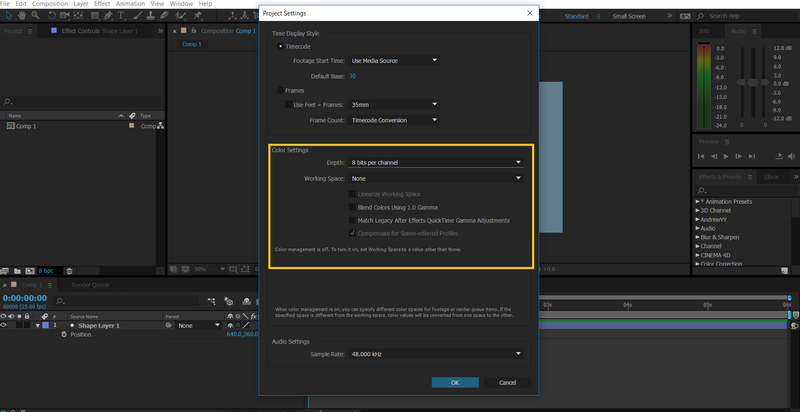 OBS, ffmpeg, VLC, Screenflow, Camtasia..etc can all screen-record. As Mulvya says - it sounds like a color space export issue..
See this previous answer - Color shift after exporting! Mov output came exact color. what we're expected. please check below image. If you want you can use mov output instead of H.264 mp4 output. Go to Composition->Add to Render Queue->Lossless. Keep color management also default setting. Then Press Ok to get output. Not the answer you're looking for? 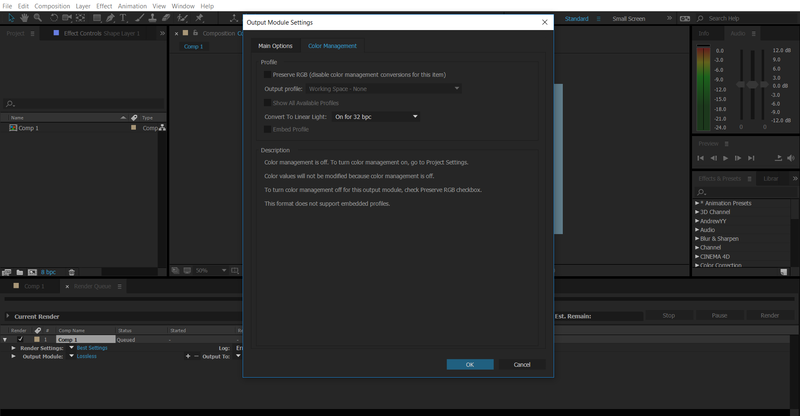 Browse other questions tagged after-effects adobe-media-encoder or ask your own question.